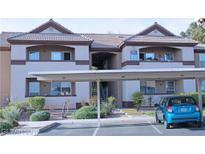 Find Green Valley South, NV Condos for sale. View Photos, Maps and MLS Data Now! Black Mountain Vistas - All appliances stay..Spacious master suite..2 additional upstairs bedrooms and loft..Community has pool, spa and community park..Excellent condition. MLS#2088159. BHHS Nevada Properties. 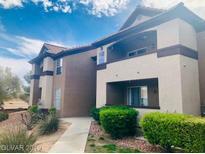 Black Mountain Vistas - *two Car Finished Garage* Carpet Replaced In 2018..So Much To See*gorgeous Community With Playground, Walking/Jogging Trails And Pool. MLS#2087018. Huntington & Ellis, A Real Est. Big Horn At Black Mountain - Gated with Community Pool, Clubhouse, Lighted Tennis Court, BBQ Grills and more! MLS#2085059. Power Play Realty. Black Mountain Vistas - You should really be here <3 MLS#2083876. Platinum R.E. Professionals. Big Horn At Black Mountain - *home Sweet Home*condo Located On The Second Floor In The Much Desired Henderson Area*convenient To Shopping, Dining, And Major Transportation Routes In The Much Desired Henderson Area*community Is Gated With Amenities That Include Fitness Center, Tennis Courts, Pool, Clubhouse And More*floor Plan Is Open With Plenty Of Natural Lighting*balcony Access From Living Room*kitchen Offers Plenty Of Cabinets*spacious Rooms*so Much To See* MLS#2084591. Keller Williams Market Place. Big Horn At Black Mountain - Stainless steel appliances, kitchen backsplash, two-tone paint. All wood-look floorings. No carpet. MLS#2083456. 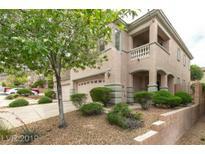 Nevada Real Estate Corp.
Big Horn At Black Mountain - Cozy And Beautiful 1 Bedroom Condo. MLS#2082583. Source Realty. 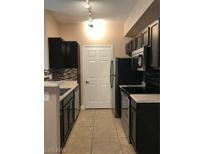 Big Horn At Black Mountain - Stainless Steel Appliances, kitchen backsplash, fresh two-tone paint. MLS#2077162. Nevada Real Estate Corp.
Big Horn At Black Mountain - Currently has month-to-month tenant; Great property for investor! 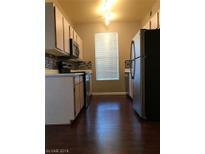 MLS#2073868. Keller Williams Southern Nevada. Big Horn At Black Mountain - Stainless Steel Appliances, kitchen backsplash, fresh two-tone paint, brand new waterproof laminate floor MLS#2070918. Nevada Real Estate Corp.
Big Horn At Black Mountain - This is one of the Largest units in this community, and one you must see in person to understand its full potential. *New Water heater* MLS#2065023. Platinum R.E. Professionals. Black Mountain Vistas - *beautiful Two Story Townhome*located In A Gated Community With A Pool*open Floor Plan*bright And Airy Atmosphere With Vaulted Ceilings And Fans*tile Floors*cozy Three Way Fireplace*sunny Kitchen With Breakfast Bar And Plenty Of Cabinets*large Bedrooms With A Balcony Off Of Master Suite*double Sinks And Large Garden Tub In Master Bathroom* Loft Is A Plus*patio In Back With Low Maintenance Landscaping*two Car Finished Garage*so Much To See* MLS#2050489. Keller Williams Market Place. Big Horn At Black Mountain - Great neighbors, great place to call home. Must see! ! MLS#2045667. Realty ONE Group, Inc.